South Korea's coal-fired power generation reached new highs in 2017, despite government efforts to switch to clean renewable sources, such as solar and wind power, official data showed Sunday. Statistics by the state-run Korea Electric Power Corp. said the country's coal-based power generation totaled 217,037 gigawatt hour from January through November 2017, exceeding the previous record of 213,803 GWh reached in the first 11 months of 2016. Besides the higher numbers, the percentage of coal-fired powered generation compared with the total also rose 3.6 percentage points on-year to 43.2 percent. This is the highest reached since 2009. In contrast, nuclear power and electricity created by using liquefied natural gas backtracked 2.5 percentage points and 1.6 percentage points, respectively, to 27.5 percent and 20.8 percent of the total. The rise in coal-fired generation comes as new facilities came online en masse in 2017. Three new thermal power units that can generate a combined 5.3 gigawatts of power started power generation last year, while the temporary suspension of operations of 11 of the country's 24 nuclear reactors throughout the year contributed to a greater percentage for coal-fired thermal power plants. 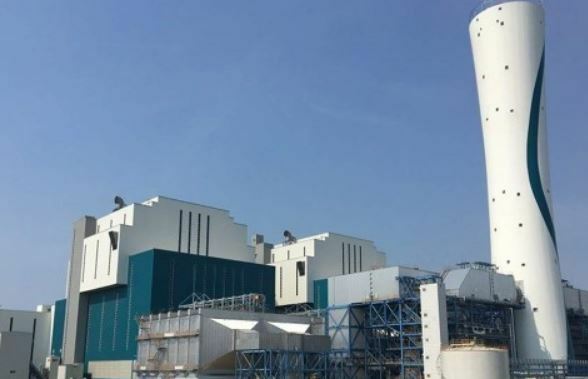 Related to the rise in coal-fired power generation, market watchers said reliance grew because of the relatively low electricity production costs, although a rise in prices of fossil fuel over the year affected KEPCO's earnings. The import price for a ton of coal shot up 51 percent from $68.8 in 2016 to $104.4 last year. This caused KEPCO's operation profit on a consolidated base to plunge 58.7 percent to 4.95 trillion won.